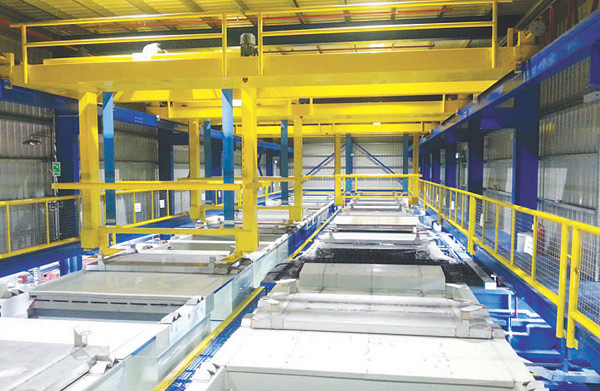 Hoist system combines high load and space utilization for client who also requires process flexibility. This system equips with sophisticated Programmable Logic Controller (PLC) that precisely controls the treatment duration for critical treatment tanks. This system can also be adjusted according to the ever-changing condition where some treatment duration needs to be reviewed from time to time. Thanks to the flexibility of the program, the system can even run more than 1 standard process by just a single touch on the touch screen inside the centralized control room.